Will Harvey have an impact on New England insurance premiums? A father and son looked for important papers and heirlooms inside their house after it was flooded by heavy rains from Hurricane Harvey. The images on our TVs of streets turned into rivers in Houston are sparking flashbacks of Hurricane Katrina’s devastation. That 2005 Gulf of Mexico storm had a big impact here in Massachusetts. That’s because the financial drain on the National Flood Insurance Program prompted Congress to pass a major insurance reform bill in 2012 that caused premiums to rise significantly for many properties here. Harvey is prompting chatter in local insurance circles, but the brokers I talked to say they don’t expect another major increase in premiums in New England anytime soon because of this storm. One big reason: the emergence of private-sector alternatives. Coastal homeowners in flood zones didn’t have a choice five years ago, says Geoff Gordon of Gordon Atlantic Insurance. Now, he says, insurers are wading inwithout a federal backstop. The theory is that their advanced models allow them to offer lower rates to property owners crushed by high federal premiums. Joe Rossi of Rogers & Gray Insurance says language in that 2012 law helped pave the way by requiring lenders to accept private-sector policies as adequate coverage if they meet NFIP standards. Insurers are increasingly seeing New England as a big opportunity, he says, partly because Massachusetts has essentially dodged a significant catastrophic storm for 25-plus years. However, there’s another kind of storm -- the political kind -- gathering steam in Washington. 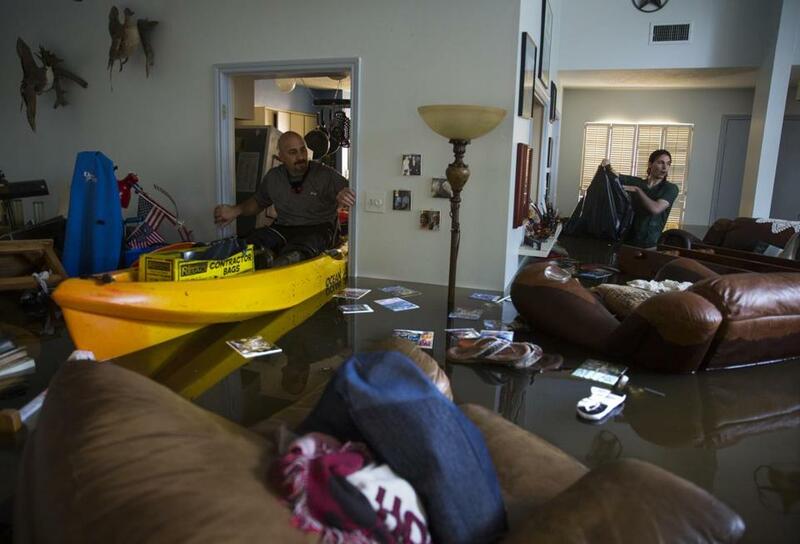 The federal flood insurance program expires on Sept. 30. Reformers in Congress are pushing for more changes. The best guess? There will be a short-term extension of the existing program -- for now. But Congress can be tougher to predict these days than any storm.